Black Sears is located on the slopes of Howell Mountain with the highest vines located at approximately 2,500 feet in elevation (the highest point of their property is just under 2,700 feet). 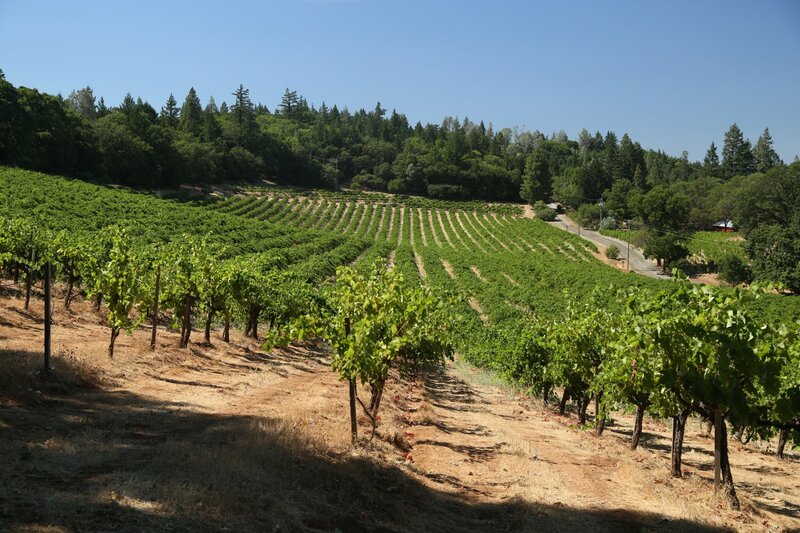 This is the highest vineyard on Howell Mountain and also among the highest of all Napa County vineyards. The views from these vineyards on a clear day are special and spectacular – looking down into Pope Valley and then across the Central Valley onto the high mountains of the Sierra Nevada range far in the distance. If conditions are right, one can actually see some of the snow covered peaks. 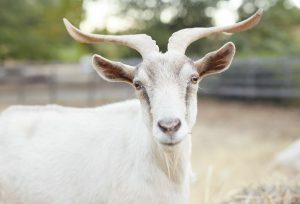 Jerre Sears and his wife Joyce purchased 420 acres in 1979 and moved to the property in 1980 – they were married on site two years later. Both are psychologists by training with degrees from the University of California Berkeley – Joyce grew up in Oakville (Napa Valley) and Jerre was raised in tiny Cottage Grove, Oregon – just south of Eugene. The name Black Sears comes from combining Jerre and Joyce’s last names. 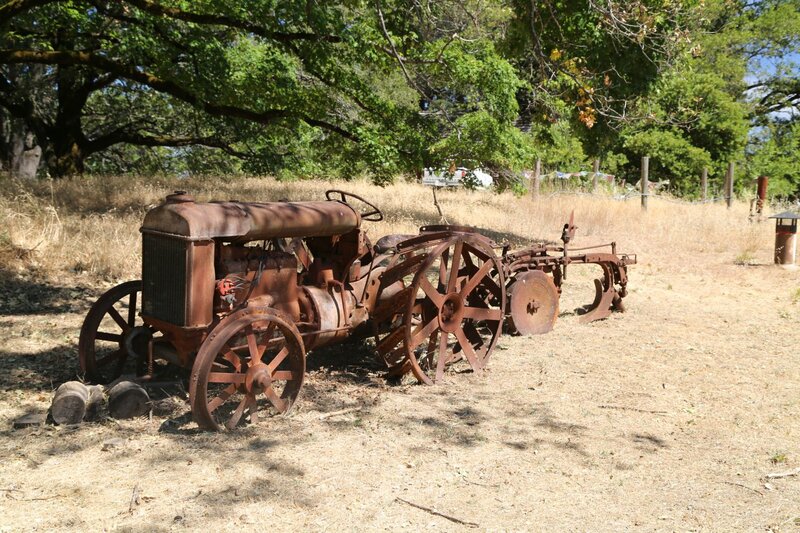 When they purchased the property it was an apple orchard with some Zinfandel vines. 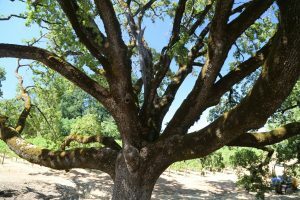 Their backgrounds were not in farming – but they began to farm and resuscitate the existing vines and planted additional varietals including Cabernet Sauvignon and smaller blocks of Cabernet Franc. Today their vineyards are farmed organically and biodynamically and most of the vines are dry farmed with a few steeper rockier sections of the vineyard setup for drip irrigation – but rarely used. 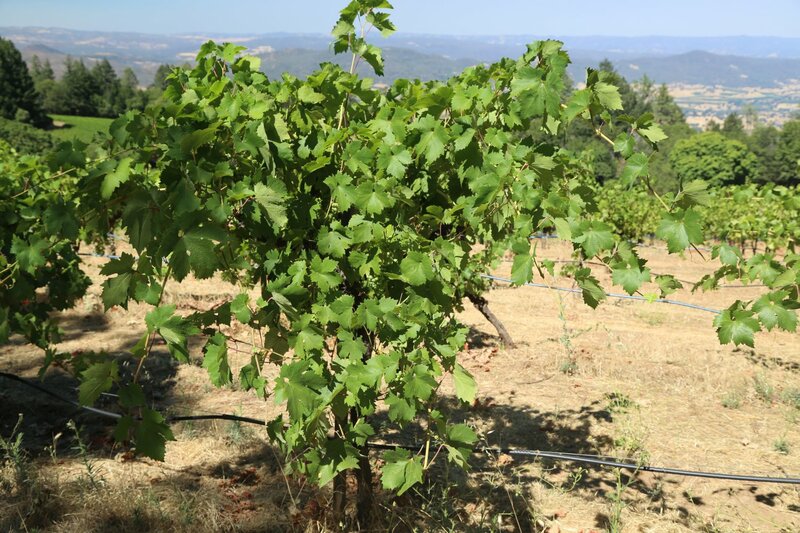 Compared to the valley floor, we have observed far less hillside vineyards being dry farmed. 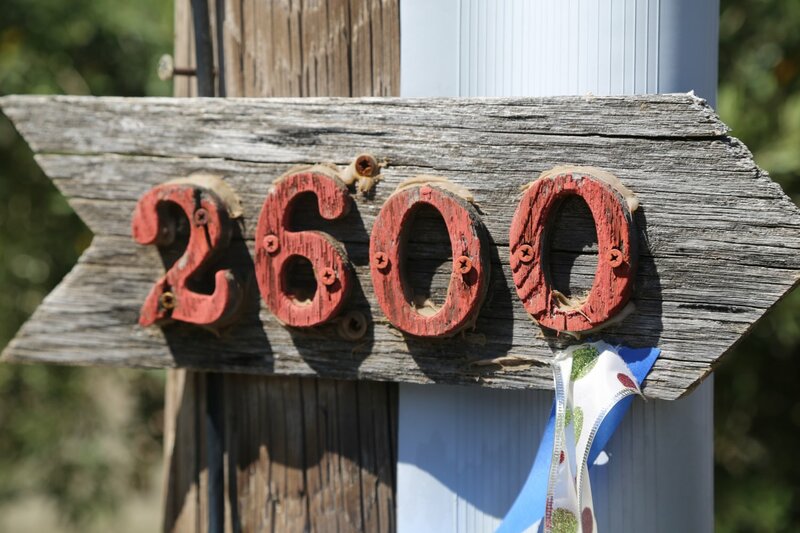 The water table is quite deep on the property – they maintain three wells between 600 and 900 feet deep. Only about 27 of the 420 acres are under vine – with much of the property covered by forest land. Farmers initially, the Sears have sold or currently sell fruit to a number of prominent producers including Schrader, Robert Craig, Cornerstone, D-Cubed Cellars, T-Vine and Turley – several of which are their vineyard neighbors. They continue to sell the majority of grapes grown on site. Other crops are grown for their own uses include apples and various fruit trees. And there is a diversity of wildlife that either lives or comes through the property including black bear, bobcat and mountain lion (images of these animals are sometimes captured on their trail cam). 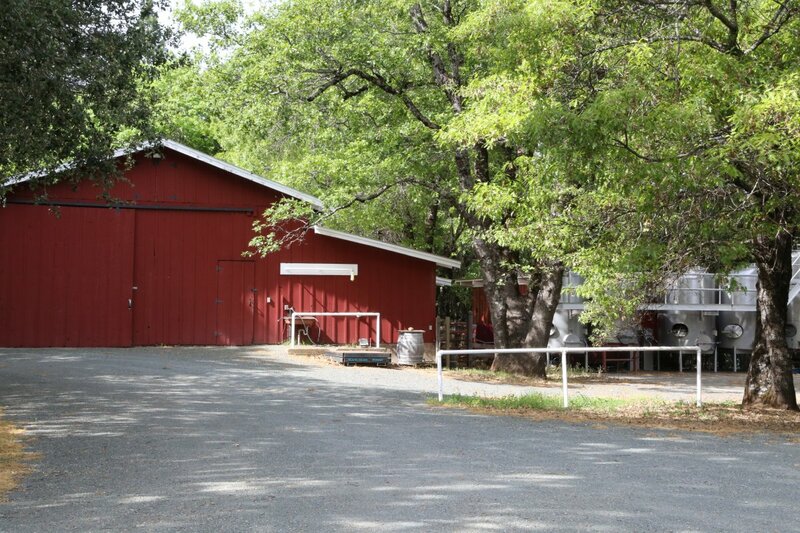 The first vintage of of wine bottled under Black Sears was in 1988 using fruit from the property blended with fruit from long time Howell Mountain resident Mike Beatty’s vineyard. Only several hundred cases were made at that time. 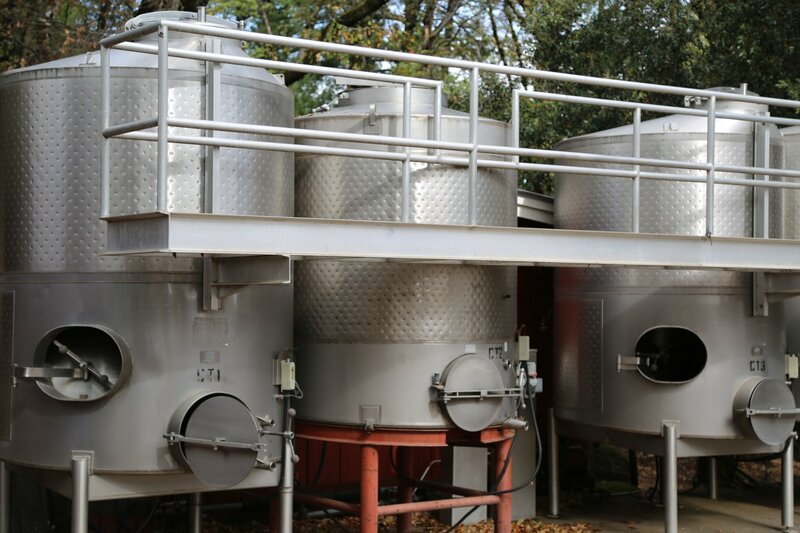 Production has not grown significantly since then – currently only about 700 cases are produced annually, much of which is sold through their member allocation list. After several decades Jerre and Joyce decided to step back from the operations (around 2004 through 2006) with the intent of eventually selling the entire property. Their only child, Ashley and her fiancée at the time, Chris (now married) were living and working in Seattle. 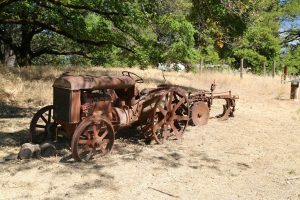 Neither of whom had any experience running a vineyard or a winery but fortunately both were interested in holding onto the land and continuing the legacy of the property. Ashley and Chris left their careers in Seattle and moved to Napa, settling on top of Howell Mountain on the Black Sears property. 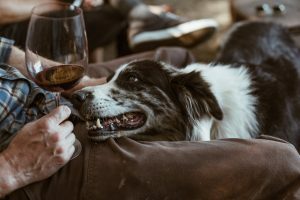 They both became involved in the day to day operations and are now instrumental in overseeing the winery and vineyard operations as well as maintaining the overall property. During the transition in management Black Sears did not make a vintage in 2007. 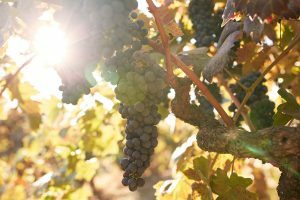 Two prime vineyard neighborhoods in the Napa Valley known for Zinfandel are Calistoga and Howell Mountain. 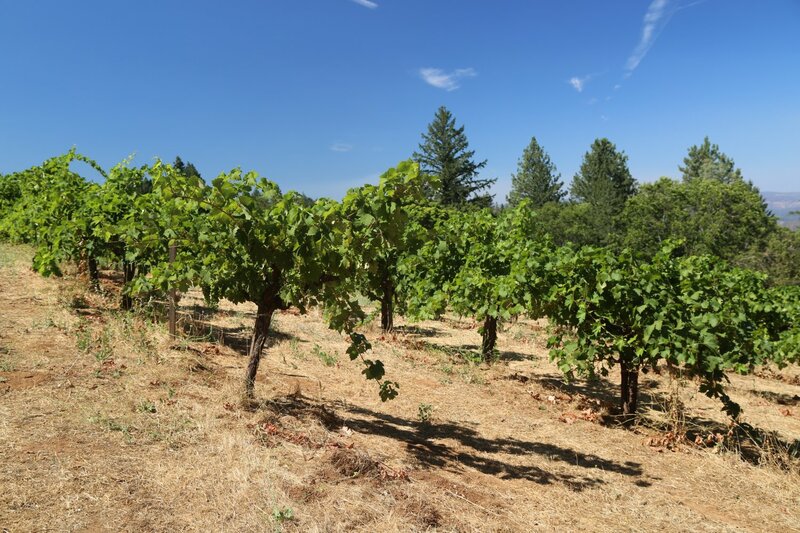 Howell Mountain deservedly receives much exposure for its Cabernet Sauvignon but is certainly a sweet spot for growing Zinfandel and a number of vintners in the area produce a Zinfandel wine. 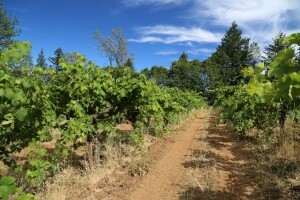 One of Turley Cellars premium vineyards borders one edge of Black Sears vineyard. Growing Zinfandel here is not a relatively new discovery either; this varietal was originally grown on “the mountain” in the 1880’s. 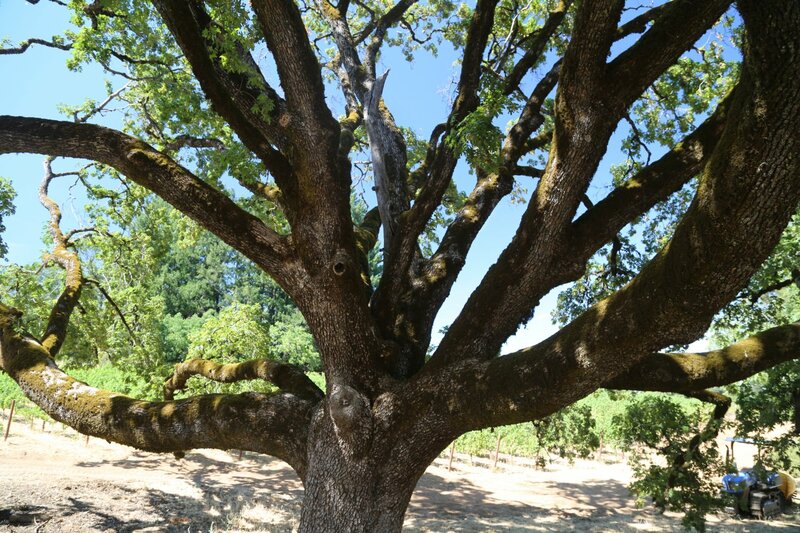 According to old Napa Valley crop reports, in 1887 Zinfandel was the most planted grape varietal in Napa; it was a very popular varietal in the 1870’s and 1880’s. 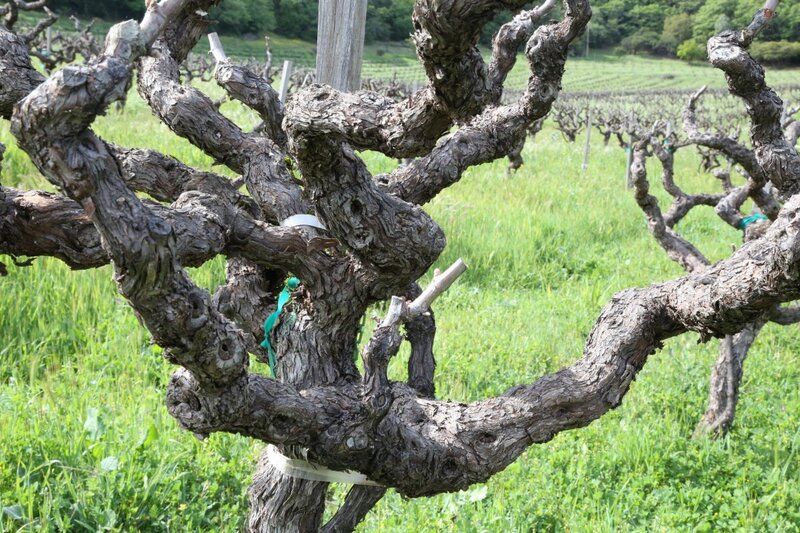 Black Sears continues to source from the original head pruned vines first planted in 1975 from cuttings obtained from the historic Hayne Vineyard in St. Helena. 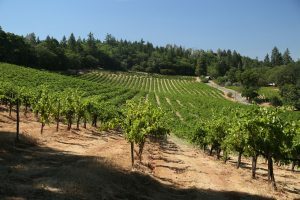 Zinfandel comprises the majority of their vineyard. Despite the vineyards elevated location the property never has a major issue with frost. The property is well above the valley fog; during the critical growing season in Spring an inversion layer usually brings the warmer air up to the higher elevations – coupled with the benefits of excellent wind flow. Ted Littorai was their founding winemaker and produced the Black Sears wines until 2006. Ted’s first Littorai wines were also produced at Black Sears (before he opened his own winery in Sebastopol in neighboring Sonoma County). 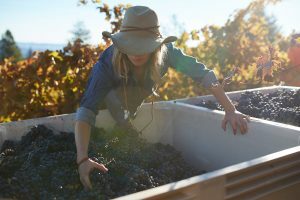 Well-regarded Thomas Brown took over the winemaking in 2008 and produced wines for a number of other clients before moving his own production as well as Black Sears to a neighboring winery, Outpost. The small winery is located next to the red barn – a sizable cave was drilled into the hillside in 2000 and has served various uses over the years including for custom crush clients. 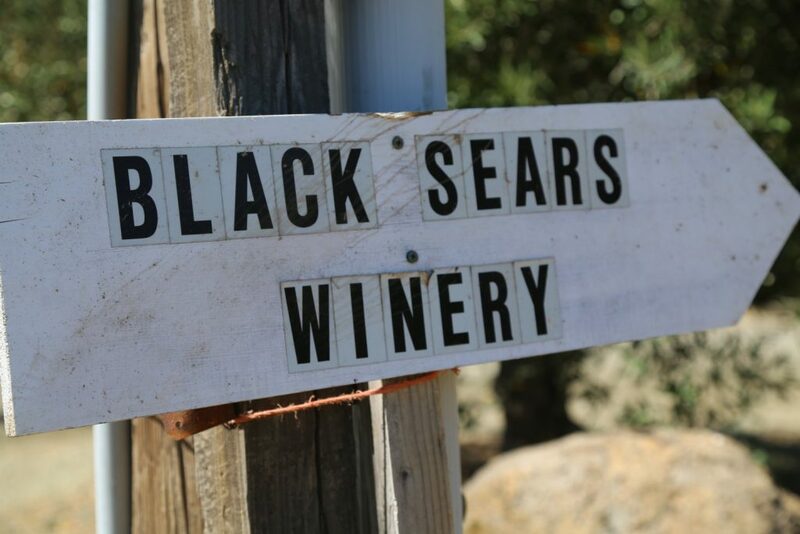 Black Sears focuses each year on only three wines, a 100% varietal Cabernet Sauvignon (several clones), a Zinfandel and a tiny amount of Cabernet Franc (which is always produced in quantities less then 100 cases and is only available for their members). Their Cabernet Sauvignon tends to age longer than most current releases on the market both in barrel (all new French Oak) and in bottle. The 2004 shows nice notes of all spice on the bouquet with a distinctive chalky almost dusty characteristic. The fruit is integrated well both on the bouquet and on the palate and shows more red fruit (red currant, red plum with notes of blackberry) than dark fruit. 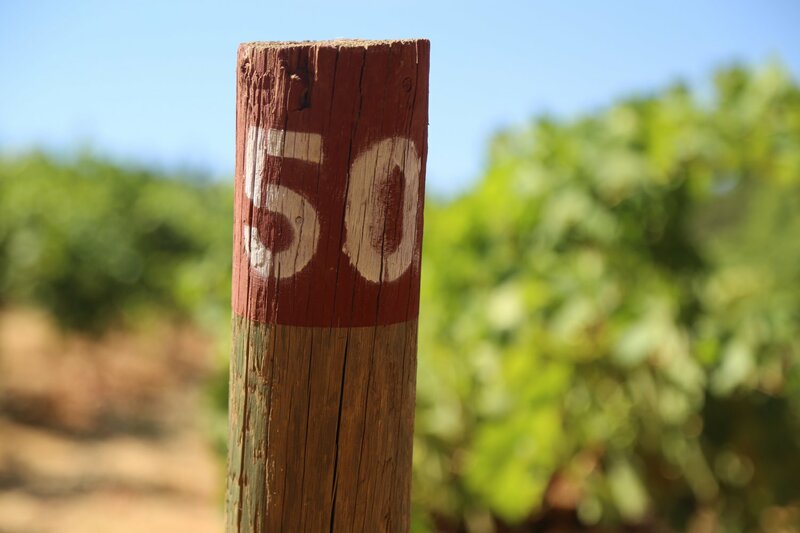 This is a wine whose textural softness is the antithesis of the often talked about heavy and robust tannic wines from Howell Mountain which often have to age a number of years before being able to enjoy them. The very balanced finish displays sweet fine-grained tannins. The 2006 Zinfandel shows a nose that is decidedly fruit driven including red plum, red cherry (think cherry pie), raspberry and well integrated notes of spice that become more prominent as this wine opens, including cinnamon and clove. It is a fairly soft wine throughout and doesn’t have any overbearing peppery characteristics often associated with a “bolder” Zinfandel. Notes of pepper and toasted oak are picked up more on the smooth finish rather than on the mid palate. This is not a heavy wine and should pair well with and not dominate any of a number of grilled meats. 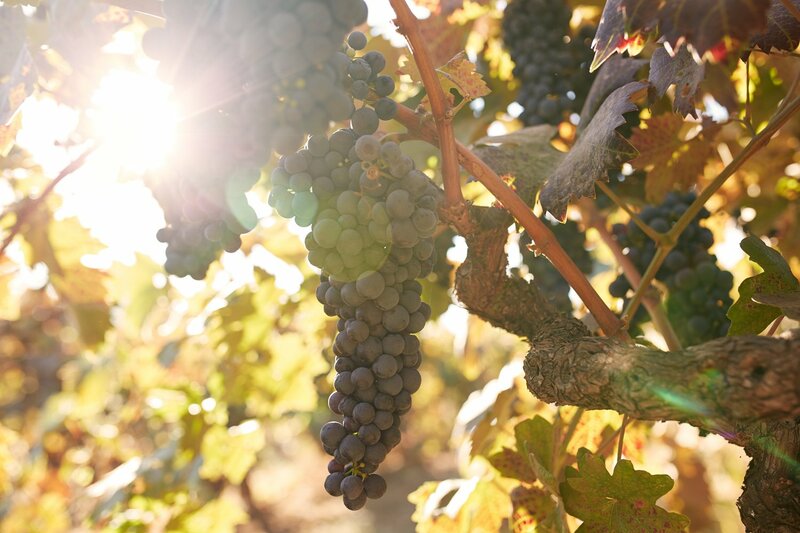 The 2015 Zinfandel is immediately intriguing due to its highly aromatic character – the bouquet is darker with spicy notes including pepper, an earthy dusty nuance, floral notes including violets – and a feel that is slightly brambly. Balanced but big on the palate this wine shows excellent depth, structure and a perceptible savoriness. While fairly high in alcohol (15.5) this wine tastes like a Zinfandel should – one does not feel the higher alcohol, its not jammy or sweet. Decent acidity as well. Aged in 1/3 new, 1/3 once used and 1/3 neutral French oak barrels. The 2014 Cabernet Sauvignon is fairly dark in the glass – shows sweet fruit aromatics, along with notes of sweaty leather, dust, chocolate, cassis, black currant and baking spice. There is certainly a savory component to the bouquet including dried herbs. Supple across the palate – this wine is very well balanced and has been so since its youth (a product of the vintage perhaps – as many of the 2013 wines we have tried from Napa have not been so approachable in their youth). Both red and darker fruits show on the palate anchored by fine-grained tannins that are slightly chalky and chewy at the same time. Is your 2009 estate zinfandel available? if so, at what price? 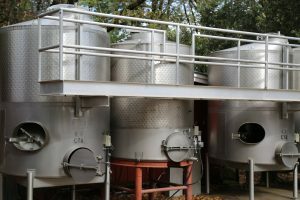 Barbara – I would contact the winery directly – they tend to sell out quite fast and during our latest visit they only had limited quantities of more recent vintages. 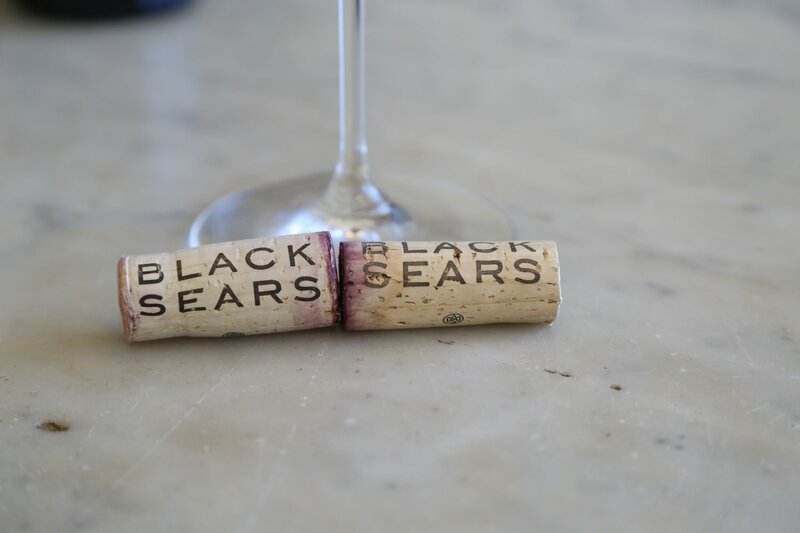 We just opened the 2015 Black Sears zin…excellent wine and even at $70,an excellent value!